Today, June 14th, is an important day. It is the “birthday” of the U.S. Army, and of the flag of these United States. Both of these events have been important to my life and of course, to yours as well. The United States Army, not surprisingly, predates the flag. Congress adopted the “American continental army” on June 14, 1775…so the Army actually predates the country, since we wouldn&apos;t issue the Declaration of Independence until the following year! However, we were already fighting the Revolutionary War, begun in April 1775 at Lexington and Concord, so the Army was a necessity. The flag, symbolic but not a military need, was adopted by the Second Continental Congress on June 14, 1777. That&apos;s still four years from the final battle of the war, and six before the Treaty of Paris of 1783 is signed. The first flag, known as the “Betsy Ross” flag, was a circle of 13 stars on a blue field, with thirteen red and white stripes. It has grown over time into the 50-star flag we have today. My personal connection with this day is strong. I was born an Army brat, in an American hospital overseas in Germany, while my father served as a enlisted man in the United States Army. 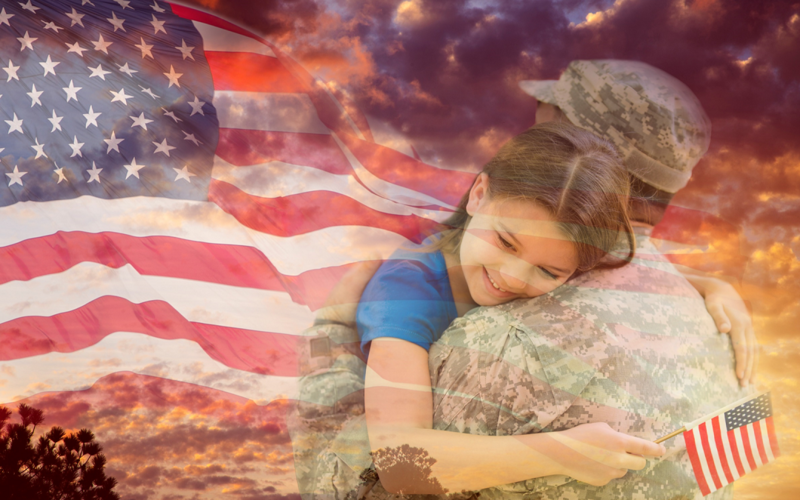 “Army brat” is a term the community of Army dependents has taken on for its own. It originally stood for British Regiment Attached Traveler, where in the British military, dependents who traveled with their father were referred to in paperwork as BRATs. Despite the negative connotation of a “brat” in American English, we military dependents have absorbed that term and claimed it. It means a child who grew up as much the child of the military as their own parents, who traveled frequently from station to station as their parent got transferred, and who became really good at fitting in to very different circumstances. One day you might be in a huge 2000+ student school in Zweibruecken, Germany, then you might be the next day in a tiny, 150-student K-12 school in rural Alabama. Life was never boring, but you had to learn to adjust. And we Brats became masters of adjustment. I am incredibly thankful for my time serving in the Army. I know, I never enlisted nor was an officer, and my service certainly didn&apos;t begin with an oath, but rather with my first breaths. However, I still view my 18 years in the Army as my service, as well as my dad&apos;s…and my mother&apos;s, and my brother&apos;s. Because we were all in it together. Where the Army told us to go, we went. Where the Army told us to live, we lived. Even when we arrived in Germany and discovered our orders had been, well, “misplaced”, and the four of us had to live in a one-room hotel room with a shared bathroom down the hall, we served our country and didn&apos;t complain, too much. After all, it was hard living that way with a ten year old brother. Don&apos;t judge me too harshly. Serving in the Army gave me a grand appreciation of our military and all it entails. While I&apos;ve never been tempted to enlist, I strongly support all my friends and family who have answered that call. I stand at Reveille, and Taps, and when the National Anthem is sung or played, I stand. This is not a commentary on anyone who chooses to do otherwise, it is simply what I, as a military brat, feel compelled to do. The sacrifices I have witnessed, and the many I have only heard of, make my heart leap in my chest when I hear those opening bars, and to sit through any of those songs playing would shrivel my soul. The flag is wrapped up in all of this. There&apos;s not a time that I don&apos;t remember all activity on the base ceasing as a lone bugle played Taps over a public address system and the flag was lowered at dusk. It was so ordinary that I never wondered at the unity of it, but every single person would stop what they were doing, set down their bags or backpacks or briefcases, and salute or put their hands over their hearts. It was several minutes of pure unified silence, all eyes on the flag, all turned toward it, the notes settling in the still air. I now am amazed at our students, who are still rushing tardy through the halls at school, who barely notice the pledge being said, much less stopping to respect it. At the ballpark, people are still ordering their hot dogs, still conversing with each other or on their phones, and it barely creates a ripple while the National Anthem plays. I&apos;m saddened by this difference between military and civilian culture, even though I know it&apos;s because they are more steps removed from the fighting and the tears and the steeled consciences. Civilians, the group I now belong to, have very little concept of what is happening in the military around the world. Nor should they. It&apos;s the military&apos;s job to keep their happy, innocent lives running without interruption, and ours does an outstanding job. However, that carelessness shouldn&apos;t become lack of care. The Army and our flag are wonderful items of Americana, and should be loved and treasured. We may disagree on the ways to treasure them, but hopefully shouldn&apos;t disagree on the need. Our entire way of life has been built around these: one a concrete wall and moat around us, protecting us from the evils outside; one an abstract symbol of unified states, creating within our hearts an identity as one America, not thirteen or twenty-nine or fifty parts. We are America, and we can unite. It&apos;s up to us to make it happen.